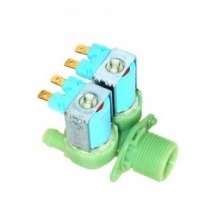 This compatible replacement double cold fill valve fits many Bosch washing machines listed below. Great product at half the price other online spares people were offering. Delivered promptly.